10. DO PEOPLE IN PUERTO RICO SPEAK ENGLISH? Yes. English is actually the official language of Puerto Rico. Spanish is also the official language of Puerto Rico, but English is too! 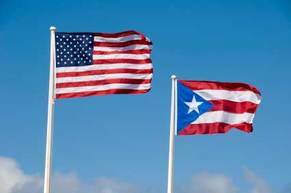 In 1993, a law was passed that makes both languages the official languages of Puerto Rico. Spanish is definitely the chosen language of the local Puerto Ricans, but most people also speak English. In larger cities like Fajardo and especially San Juan, most cashiers, waiters, bartenders, and generally all people in the service industry speak English. They may lead with Spanish, but if you look like you don’t understand they will switch to English quickly. The most recent census that was done in Puerto Rico found that 71.9% of inhabitants of Puerto Rico spoke English “less than very well”. but in reality most people you’ll come in contact with speak enough to get by in most conversations. Just don’t expect to be discussing the mysteries of life with every person on the street unless you speak Spanish! The only currency used on the island is the US dollar. Bartering can also be an acceptable method of payment in less formal settings, but don’t try this in Wal-Mart. How are you? Cómo estás? How much does that cost? Cuánto cuesta eso? Where is it? Dónde está? What is a good restaurant Qué es un buen restaurante ? BACK TO TOP 10 LIST! 9. What is the best way to get around in Puerto Rico? 8. Are there any poisonous snakes or spiders in Puerto Rico? 7. What are the best places to snorkel in Puerto Rico? 5. Can I walk around El Yunque? 4. Whats the weather like in Puerto Rico? 3. What are the best things to do in Puerto Rico? 2. Is the ferry to Culebra and Vieques hard to get tickets for? 1. What is the bio bay?